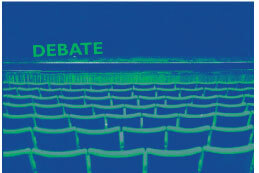 Fairtrade Fortnight begins today - the annual celebration of all things Fairtrade! We've refreshed our Pa Pa Paa teaching resources. 'Pa Pa Paa' means 'best of the best' in the Twi language of Ghana, and it's the motto of Kuapa Kokoo, the Fairtrade co-operative whose story we tell on the Pa Pa Paa website. This lesson plan explores two different chocolate companies, and their different approaches to doing business, through a choice of activities. Suitable for KS2 and KS3, the activities will help students to develop their critical thinking skills by exploring what it takes to be a successful - and ethical - chocolate company. Read more about This week we are learning about ... chocolate! 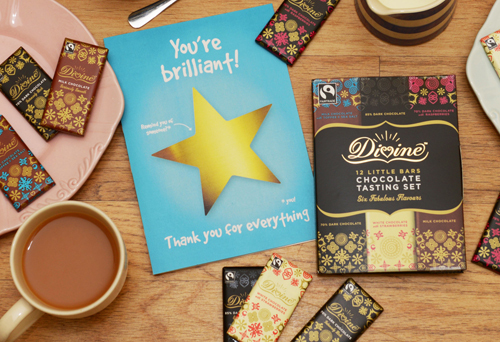 We recently launched our Thank You Teacher gift in partnership with Divine Chocolate. The gift is both unique and ethical - something that I'm sure many teachers (including myself) would love! It consists of Divine Chocolate’s best-selling Tasting Set, a Thank You teacher card, which includes information about our Pa Pa Paa resources, and a £1 donation to Trading Visions. Fairtrade Fortnight (26 Feb-11 Mar) is fast approaching and what better way to celebrate than with chocolate and our Pa Pa Paa education resources! We called them ‘Pa Pa Paa’ because it’s the motto of the cocoa cooperative that we work with in Ghana. It means ‘best of the best’ in the Twi language. Our new Pa Pa Paa LIVE video invites you and your class inside a bar of chocolate. In this short video, Latif and his friends takes you on a tour of a cocoa farm while Roxy from Divine explains why Fairtrade is so important for the future of cocoa farming. Read more about Six ways to teach about Fairtrade cocoa – and a chocolate competition! 1. Lesson plan - Trade: A fair deal? Compare the lives of ordinary cocoa farmers and members of the Kuapa Kokoo Fairtrade cooperative in this lively and thought-provoking lesson. Can be used in PSHE, Geography or for spoken language in English. Read more about Five ways to teach about Fairtrade cocoa – and a chocolate competition! Fairtrade Fortnight 2018 runs from 26th February to 11th March. This year the theme is 'come on in' - an invitation to join the movement and find out more about the farmers and workers who grow our food. 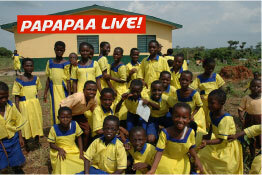 Check out our Pa Pa Paa LIVE website and 'come on in' to the lives of young people from cocoa growing communities in Ghana. They have made short videos about their everyday lives. A child's eye view of life in a developing country. Read more about Fairtrade Fortnight is coming!